Music. It's one of those things in our lives that we just feel no matter what the language of the song, the tone of the song, or the instrument the song is played with. We literally just get it. We feel what the songs are sung about, what the notes played by the instruments mean, without even hearing the lyrics themselves. This is why I sometimes prefer instrumental songs. They can be so powerful when all you hear is the raw emotion in the notes played by the musician. You almost don't need words to the songs. Why? Because the music itself can tell you everything you need to know about what the musician is trying to say. Enter New Orleans. A place rich not just music but the experience of music. It's a way of life. Jazz is everywhere you look - in the houses, in the people, in the culture - the city just lives and breathes this style of music. And to be there... ahhhh. To be there and experience it for yourself, to live and breathe and feel just how much of this city is jazz music... it's just a wonderful feeling, and the feeling of music pours out from every part of the city. Last month, I was fortunate enough that I got to spend a week in New Orleans, focussing on photographing music in New Orleans - how it is a part of the city, a part of the people who live there, and a part of the way of life there. 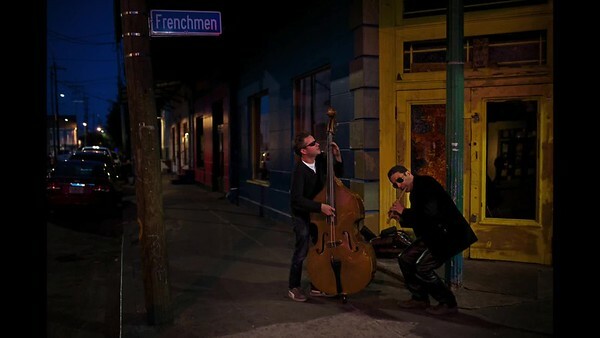 Music in New Orleans is a harmonious synergy of people, place, and sound. My goal while I was there was to learn from the other participants, along with one of the greatest photographers of our time, William Albert Allard, and to create a photo essay from images I made over the week that clearly speaks to what music means to New Orleans. Music in the video above used with permission from Smoking Time Jazz Club, a band who I have had the privilege to see live on more than one occasion at Spotted Cat Music Club in the French Quarter of New Orleans.